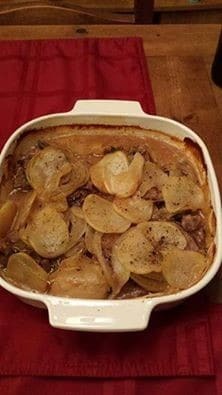 Thinly slice potatoes and arrange in between the meat with a thin layer on top of the onion, meat and herbs. Preheat the oven to 350°F and bake for ±90 minutes. Meat should be tender and juice thickened.